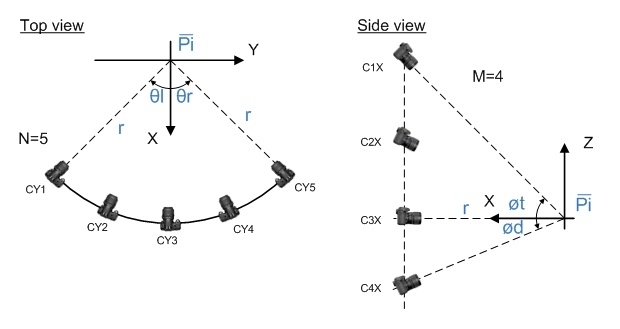 Description: Returns camera parameters (position, projection matrix, calibration intrinsics matrix, calibration extrinsics matrix, transformation matrix, and information parameters matrix) from a given camera setup. See the “Camera model” chapter to see parameters definitions. This is one of the main functions of the camera setup framework.